We have three new products to talk about this week, and a couple demo videos, so check it out. It's Friday. We're back. We have a few new products this week, and a demo video! Let's check the first, the standard classic Friday New Product Video. Moving right along. Here's the supplemental video for the ISP Pogo Adapter. It's a little tricky to put together, so Mike shot a video explaining the assembly and showed how to use it a bit. Well, that's all the videos we have for this week, so let's look at the actual products. As we talked about above, the ISP Pogo Adapter is a convenient way to program stuff that has an ISP header without soldering to the headers. It comes as a kit, so you'll need to provide the assembly, but if you're programming stuff, you should be able to handle a bit of soldering. That's half the fun! Once you start using pogo pins, you'll wonder how you survived without them. Remember those little spring connectors that were used on electronics kits back in the days? Remember when kids wanted to play with neat educational toys instead of just zoning out with a tablet or video game? We thought those springs were pretty cool, so we decided to bring them back. We had a team of third-generation spring artisans craft springs specifically for us. 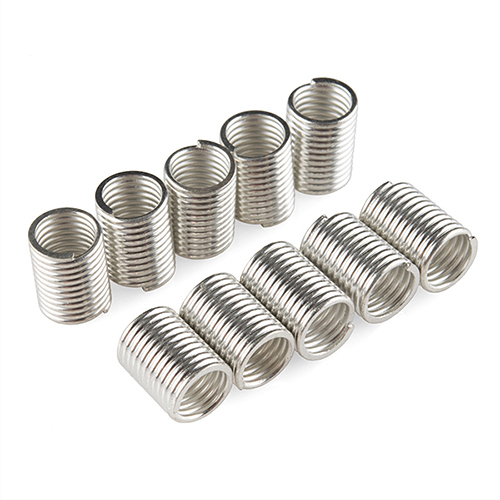 We spent over a year fine-tuning the design, but we are now proud to announce our 10 pack of spring connectors. The have a flat bottom so they sit better on a board, and you can even use the footprint we designed (found in the SparkFun Eagle Library) to reflow them onto your next board. They can even work well with through-hole boards too, just check the video above. 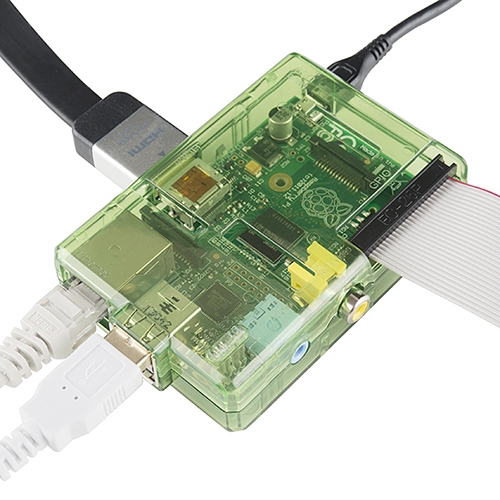 We've been selling the Pi Tin for awhile now, but when our latest shipment came in, there were a bunch of green ones in there that we didn't order. So, through a shipping error, we're left with an overstock of green Pi Tins that we need to liquidate fast! Get them while they last. That's it, that's all I have for this week. Thanks for watching, reading, laughing, and crying. We'll be back again next week with more products, see you then! I may be dating myself, but the spring prototyping connectors really take me back! I remember wiring up a rudimentary radio from a 40-in-1 RS kit in middle school. Wow, that would have to be like [cough cough cough!] years ago. Talk about dating yourself...What about Heath Kit? 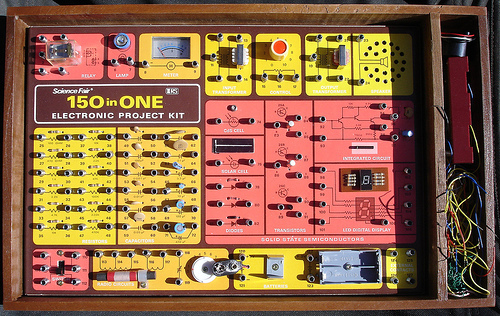 or the kits Radio Shack used to make? At least you're not carbon dating yourself. I too grew up with one of those and remember doing several little projects that annoyed the heck out of my mother. I first learned about the concept of magic smoke (and the importance of safety glasses) when I hooked up a 2n2222 backwards across 9vdc on one of those RS 40 in 1 sets. It popped and a piece narrowly missed my eye, striking my cheek and leaving a red mark. Also, a nice puff of magic smoke wafted above the carnage. I was maybe 13 at the time and I became hooked on electronics with that kit. OMG!! Sell ATMEGA pogo spring board! Seriously that could sell very well! I loved making things using that as a kid. I could totally see turning an (older) kid loose with the Atmega pogo spring board. Out of pure curiosity (I'm not a product developer) would just a springboard ATMega with an FTDI and a crystal be an interesting kit? Or would you want to see something more like the classic 50-in-1 kits with peripheral components on board? In the meantime, I'll make a tutorial available for the one in the video and release the vector files for the cardboard bit. The spring form factor makes little to no sense ( save nostalgia ) without peripherals on a well designed experimentation board. 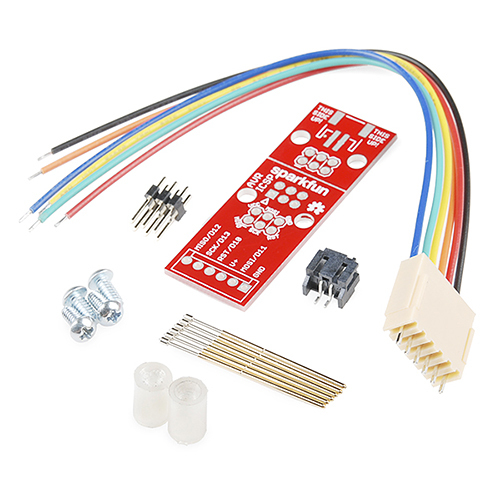 It's more compact, stable, and easy to just use breadboards, pin-ended jumpers, and female headers to connect everything. That said, there is something really fun, and welcoming about those old spring based systems, so something like a simplified danger shield + arduino combo set with a well thought out layout and plenty of experiments could be really awesome. The solution to spring mounting is just to ship it as a kit - make those budding EE's earn their right to build simple circuits. I would like to see both. A component springboard will serve to teach basic electronics. A springboard ATMega would be the next logical step to learn on. My kids (I) would love both! 50 in 1 baby. But its a microcontroller so 50 in 1 becomes 500 in 1 :). What to add, not sure. I don't think this is duplication the entire Arduino starter kit, but I'm guessing adding some certain components like an acclerometer, some leds and whatnot would really add to the kit. Oh and put the atmega in a socket, because it will be wired wrong, and require a new one :). [and/or protect it with a bunch of diodes and fuses and whatnot]. The retro graphics in the one in the demo added a nice touch. I vote for a modular system. Plug them together to share power. Then have an "Arduino" board, a power board, and LED board, a music board... Make the kit as big as you want it. After hand-placing 80 spring terminals, however, I don't understand how these things are manufactured at quantity. After hand-placing 80 spring terminals, however, I donât understand how these things are manufactured at quantity. I will have to build something of my own if you don't offer one. since you can't by the 4th of July, I think I will just do something on my own. I think this would be fun for interactive e-textiles and I could trust my five year old with the connectors! Pogo's are nice, but I don't see the receptacles for sale. The receptacles are nice for high volume use (like testing) because you can replace a bad pogo (stuck or bent) without needing to solder, unless the pogo snaps and you can't dig it out with a pick. I believe (I don't have any in front of me) that one can use 0.1" female headers (which SFE sells) as sockets. Alas, not. I just tried it and they don't fit. We could look around and see if we can find the receptacles- that'd be a nice tool to carry. I doubt this would be revised for that, anyway.